Purpose: For Sale. 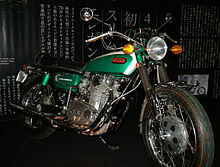 Merk: Yamaha. Type: Scorpio Z. Year: 2006. Location: Jakarta Timur. Address: Jl. Mesjid No.26 Kp. Kemang Jatiwaringin. Price : Rp 10.000.000. Nego? : Yes. Contact Name: Ishak Sidjabat. Contact Telepon: 081310795560. Short Description: Warna : BiruVelg: Jari2Km: < 40.000 KmBan belakang dan gear set baru ganti. Date Posting: March 31, 2011. Purpose: For Sale. Brand: Yamaha. Type: Scorpio Z. Year: 2006. Location: East Jakarta. Address: Jl. Mosque No.26 Kp. Kemang Jatiwaringin. Price: USD $ 10,000,000. Nego? : Yes. Contact Name: Isaac Sidjabat. Contact Phone: 081 310 795 560. Short Description: Color: BiruVelg: Jari2Km: <19 000 KmBan rear and a new set of gear changing. Posting Date: March 31, 2011.